Nicholas Billingham of Edgartown at Southern New Hampshire University in Manchester. 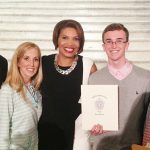 Martha's Vineyard Regional High School graduate Kevin Burchill, accompanied by his parents Jane and Kevin Burchill of West Tisbury, attended a Comcast Leaders and Achievers awards ceremony at the State House in Boston on June 18. 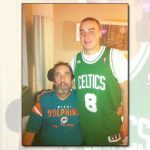 Friends and family will rally around the well known Island plumber who suffered a stroke last December. 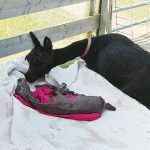 The newest addition to the Island Alpaca herd is a soft, brown baby boy. The African Artists Community Development Project (AACDP) is holding three craft sales this summer at the Grange Hall in West Tisbury. An animated comedy about a father and small-time criminal who is recruited by the Anti-Villain League to help deal with a powerful new super criminal. 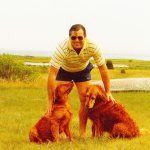 John Miles McSweeney, a Chappaquiddick resident since the 1970s, and former resident of New York and Greenwich, Connecticut, died February 11, 2013 on Martha's Vineyard. 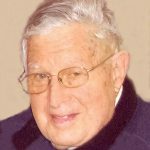 Richmond "Rich" Lewis Greene of West Boylston, formerly of Paxton and Torrington, Conn. ACE MV, Basics/Eastaway, The Black Dog, The Harbor View Hotel, Hertz, Island Grown Schools and Island Grown Initiative, Johnny Cupcakes, Menemsha Blues, MV Insurance Agency, Right Fork Diner, Stop & Shop, Tisbury Farm Market/Vineyard Grocer, and Vineyard Vines. I suppose I am more of a writer than a speaker (I leave that to my sister), or perhaps it is the nature of this letter, and that Bob Hughes was such a regular in his Letters to the Editor that I chose to express my thoughts in this manner. The barn door is closing on Cattrap. I thank everyone who took the time off last Friday to attend mom's memorial service [Obituary: Shirley M.
So, how about we ask our local governments to authorize citations and fines for people who leave their yard and garage sale signs up long after the event has come and gone. One day soon, faithful Fox News viewers are likely to see a shrill blonde announcing yet another Obama scandal. Suddenly the Edgartown-Vineyard Haven Road is transformed into an ugly, urban wired and poled road. The other day I made arrangements, on my doctor's advice, to have a colonoscopy, a rather unpleasant but necessary test to detect lesions which may tum into colon cancer.